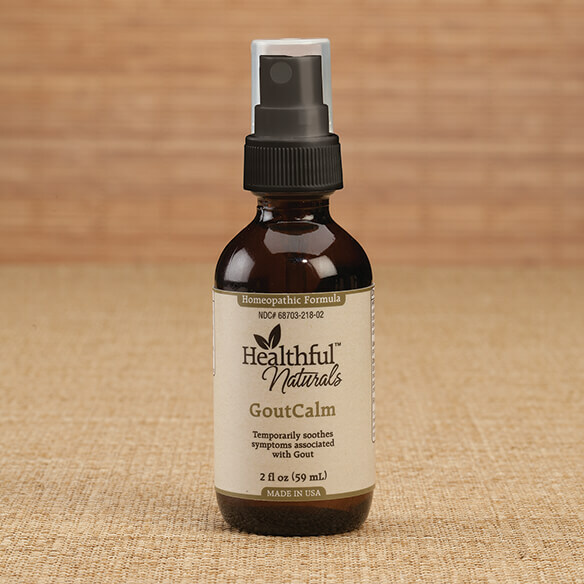 Relieve painful gout symptoms quickly and easily with Healthful™ Naturals GoutCalm. 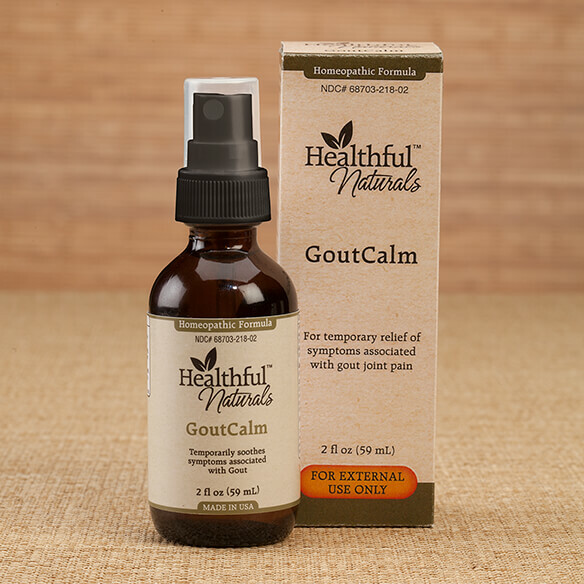 This topical homeopathic gout remedy is formulated to ease swollen, hot, red joints affected by gout. Gout is a type of inflammatory arthritis caused by a build-up of uric acid. Gout can occur in any joint, but most often occurs in the big toe. 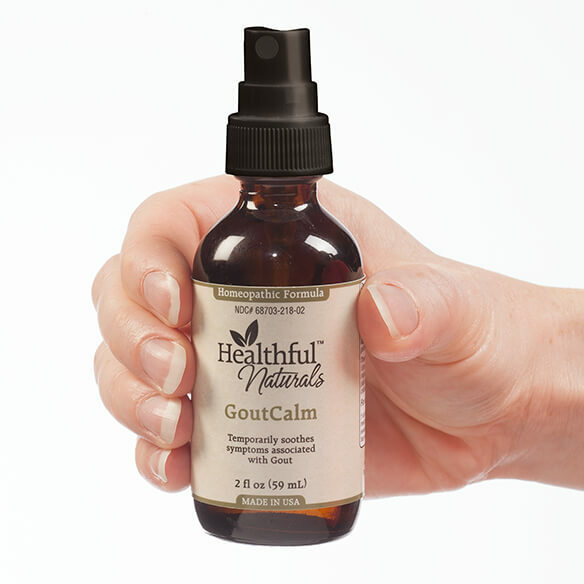 As an alternative to anti-inflammatory NSAIDs or corticosteroids, which can carry unwanted side effects, GoutCalm is a safe, effective homeopathic solution. The selected ingredients work together to provide gout pain relief and inflammation, and assist the body is prevent uric acid build up. 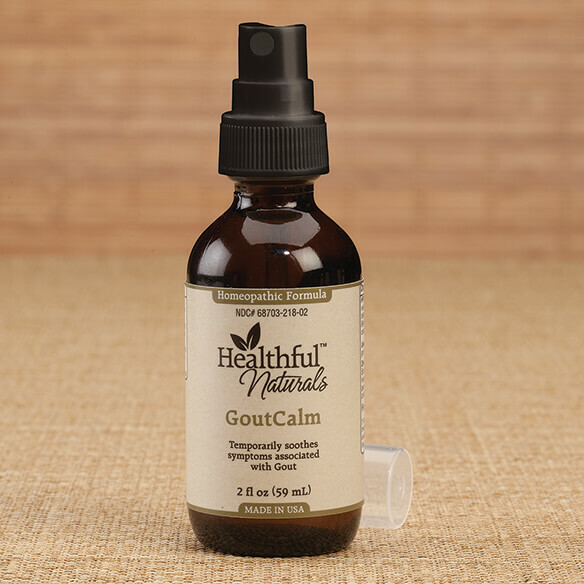 The homeopathic ingredients are combined with soothing essential oils in a nourishing grapeseed oil base. To use, spray onto the affected joint approximately every two hours until the pain begins to subside. Easy spray-on application. Not recommended for use during pregnancy. I have gout in my toes.